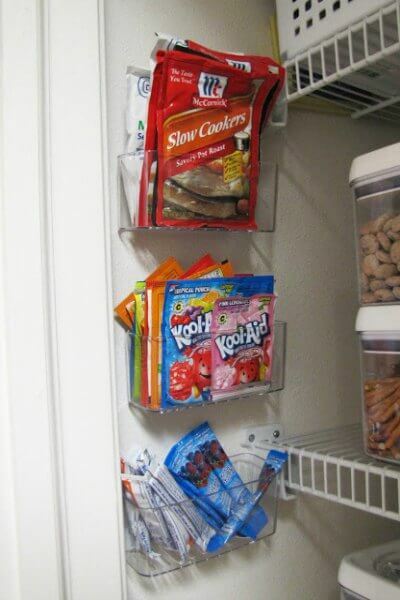 Dollar Store Kitchen Organization Ideas - 20 Clever Ideas! 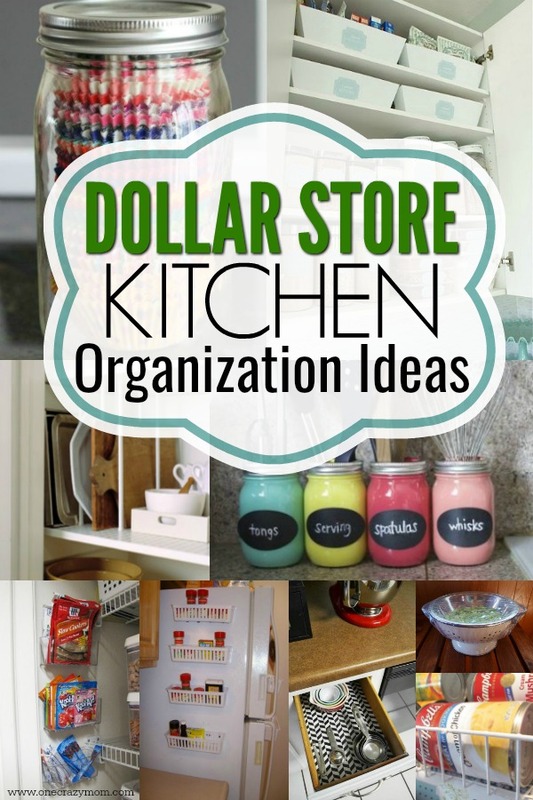 Get your kitchen in order with these creative and budget friendly dollar store kitchen organization ideas. From drawers and cabinets to the pantry and more, these ideas will have your kitchen organized for less. Who is ready to get their kitchen in order? If you loved our Dollar Store Home Organization Ideas, you will love these Kitchen Organization Hacks using Dollar Store items! I don’t know about you but it seems every door I open there is something falling out. Ugh! Pots and pans, snack packs and more! 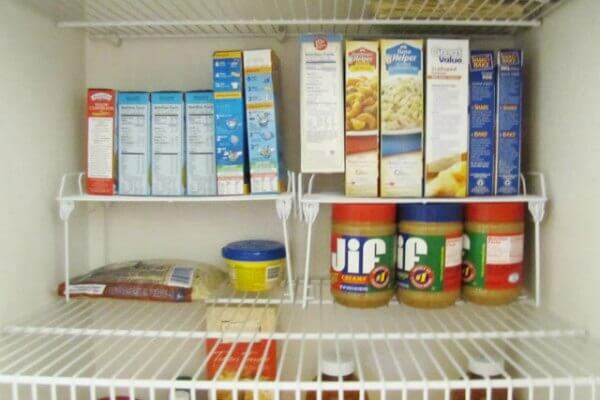 It’s time to get this mess in order and I’m going to show you how with these Dollar Store Kitchen Organization Ideas. 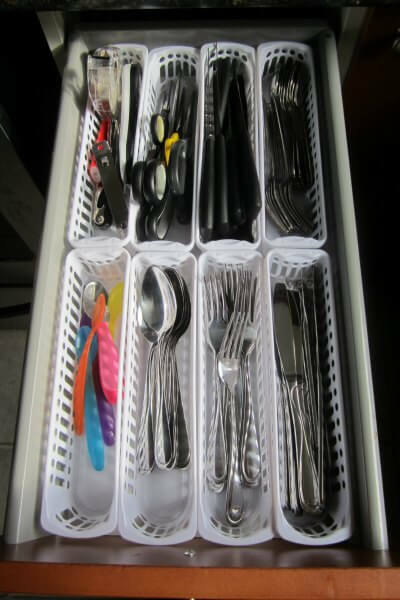 Have you seen how expensive kitchen organizer items are? They might have a gadget for everything but let met tell you, it comes at a cost! 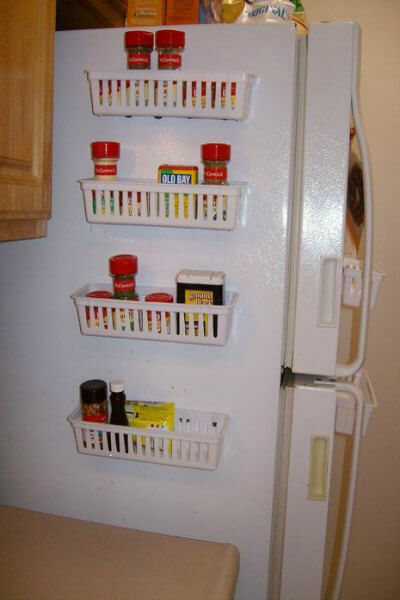 That can really add up so it’s time to hit the dollar store for some kitchen organization hacks for just a buck! I have found that these items work just as good and in some cases better! I actually bought some of the wire shelves for my pantry over the weekend. Now, I used the dollar store version but you can check out some from Amazon here to see just how much you are saving. I did my entire pantry for the cost of just one on Amazon! Plus, I doubled my storage space! Yeah! 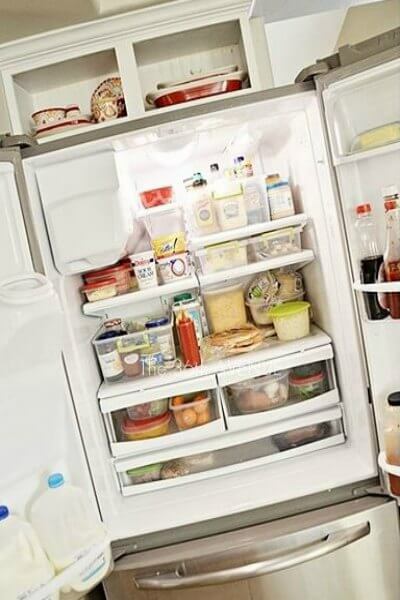 You will love these kitchen organization tips! Let’s get started with these 20 unique kitchen organization ideas! 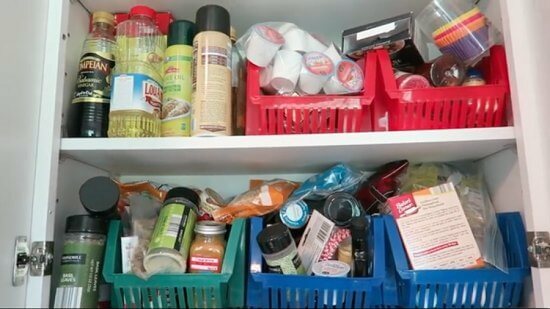 These cheap kitchen organization ideas are so easy! For even more ideas, check out the Best Things to Buy at Dollar Tree Store to Save you Money. Don’t spend a lot on fancy silverware organizers, just grab some of the small baskets at the dollar store. Use a bin for forks, knives etc. These are also great for pens and pencils if you have a junk drawer like me in the kitchen 🙂 . 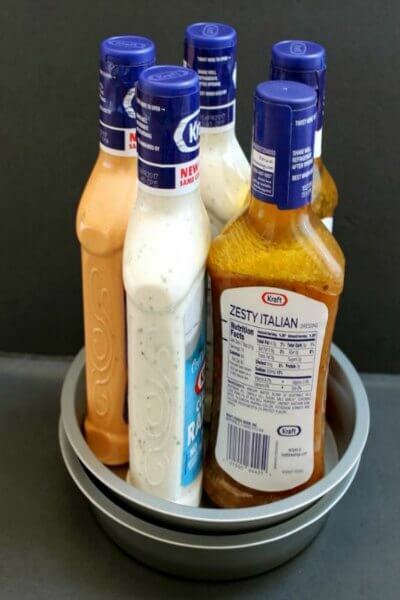 Grab a couple of round cake pans and some marbles and you have a DIY Lazy Susan! How clever and you will have easy access to your chosen products. 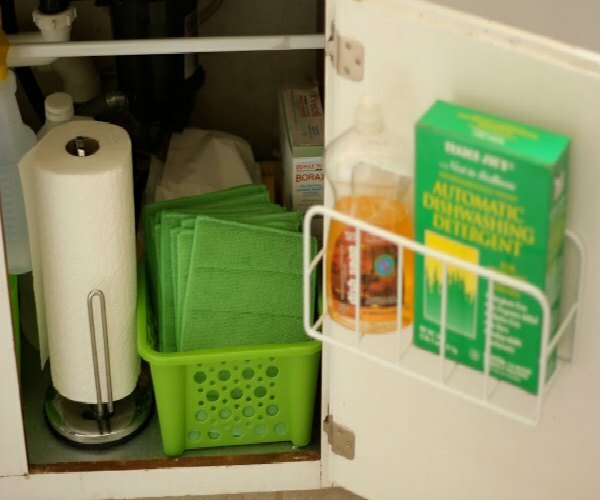 Baskets and bins make awesome under the sink organizers! Separate items buy bins and and you will be so organized and everything so easy to find. Use tension rods to make compartments for cutting boards and other items. I think this would also work for lids and such from your pots and pans. 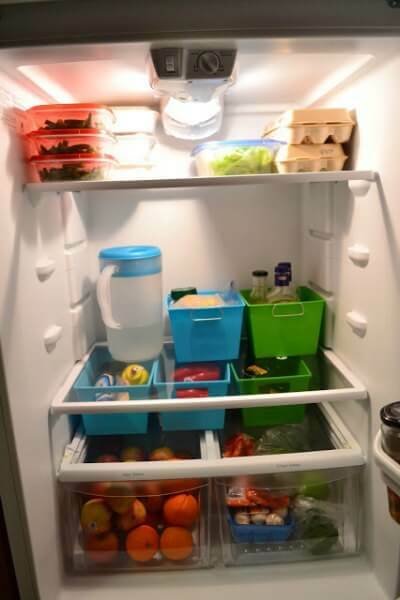 Refrigerator bins really add up, so use these baskets to sort little items. Everything will have a place and you can use colors that match your decor. 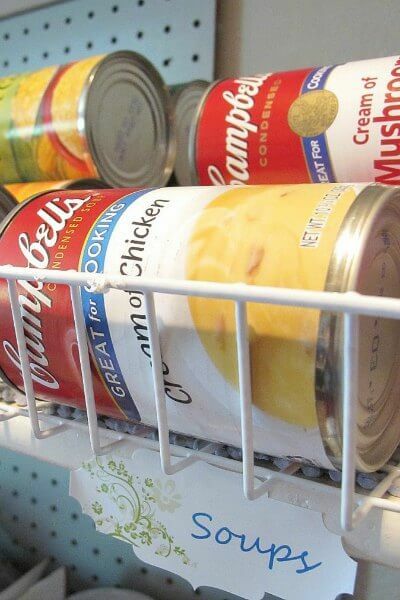 Use wire baskets to sort canned goods. Soups, veggies and other canned items will be easy to find when they are sorted in these wire bins. 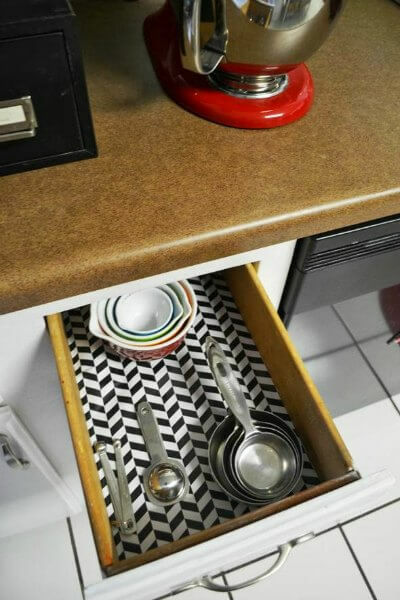 No more boring drawers, use gift wrapping paper from your local Dollar Store to jazz up your kitchen! 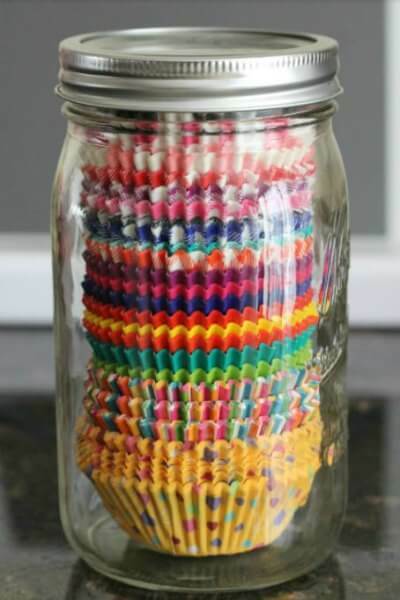 This idea is so easy and cheap to do! Easily find all your spices or baking powder with these kitchen baskets. They are magnetic so you can get creative and use this for a spice rack. I get so tired of trying to find my measuring spoons and other important items. 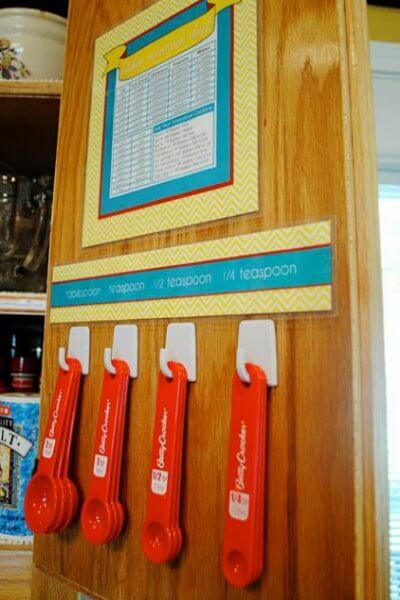 Use these clips to hand them inside your cabinets. So cool! Did you know if you line shelves with off brand cling wrap, it helps to keep things easy to clean! Such clever tips! Grab several wire shelves and instantly double your pantry storage. This would also work for cups and other smaller items! Those reusable cling wrap covers are expensive! Use shower caps to do the same trick! Store cupcake liners inside mason jars! No more squished liners or hunting for them in multiple places. 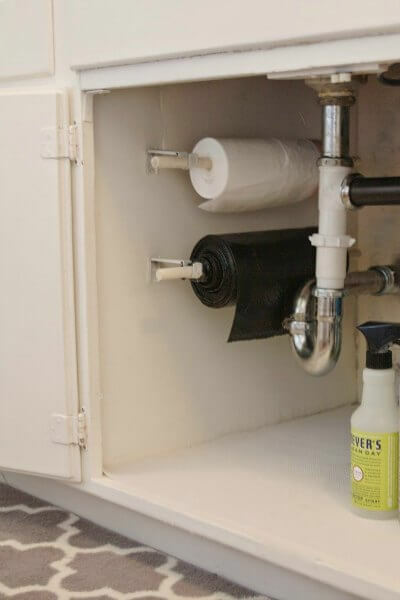 Use dowels to make an organizer for your trash bags! This will keep them out of the way and provide in easy way to get to them. Seasoning, Koolaid and more instantly get organized with these small plastic bins you can put on the wall. 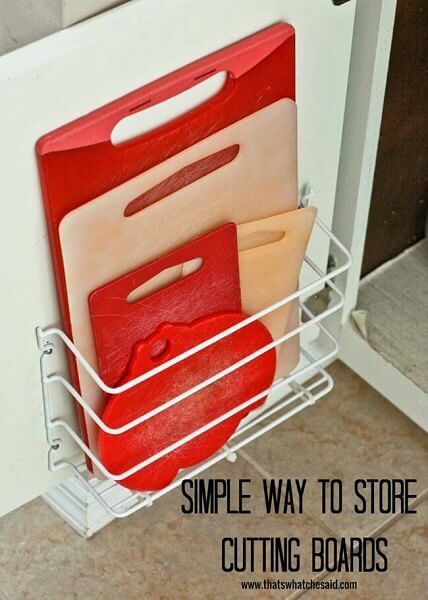 This is perfect for the inside of the pantry or to keep cabinet space organized. 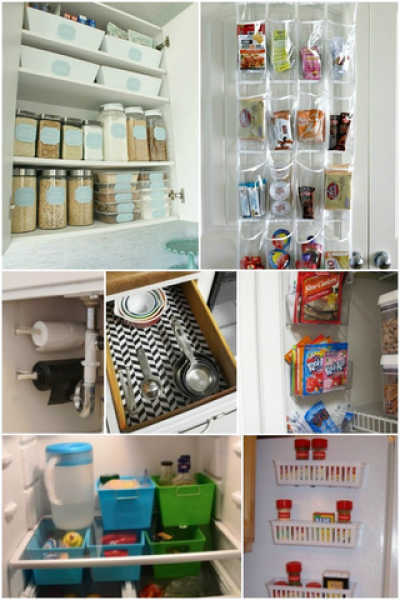 Use bins to put all your small pantry items so that they are in one place. No more searching for items! This makeover just looks so classic! It even looks expensive but it’s not! Clear containers are all from the Dollar Store to sort grains and other items. 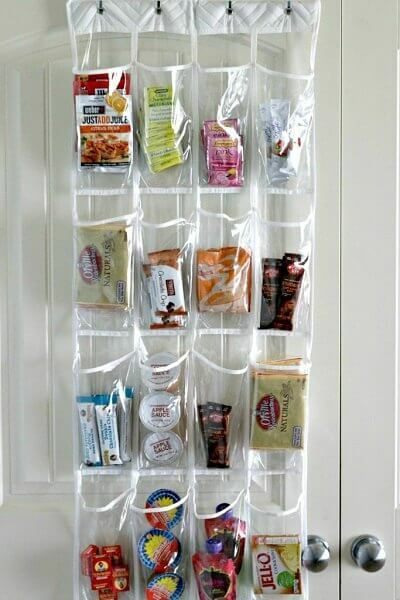 Who knew a shoe organizer could be so handy in the pantry! Sort snacks, small items and more! 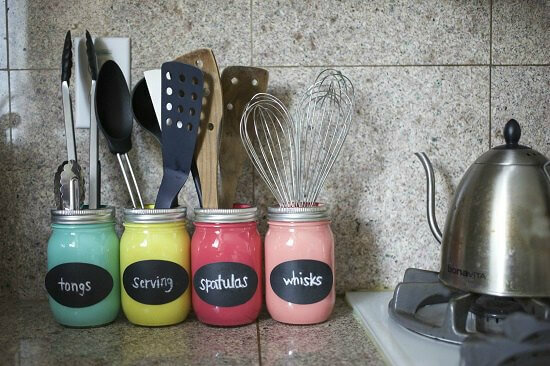 Paint mason jars to make really cute utensil storage. You can easily match your decor and have this adorable farm house storage idea! 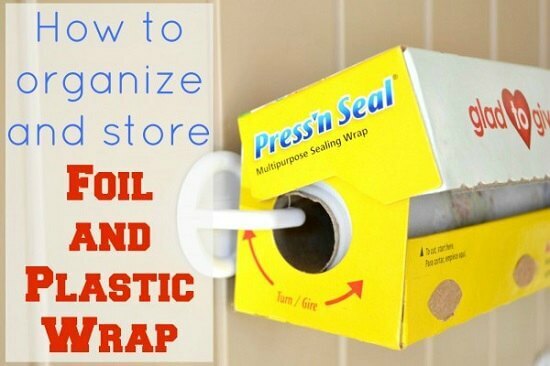 No more jumbled drawers of cling wrap, foil and more! Use this idea to hang these for easy storage. 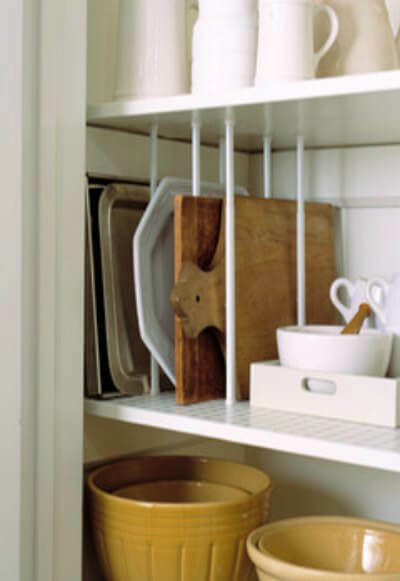 With a little creativity, you can hang one of the wire organizers to hold cutting boards or lids. This also will free up storage in your cabinets. 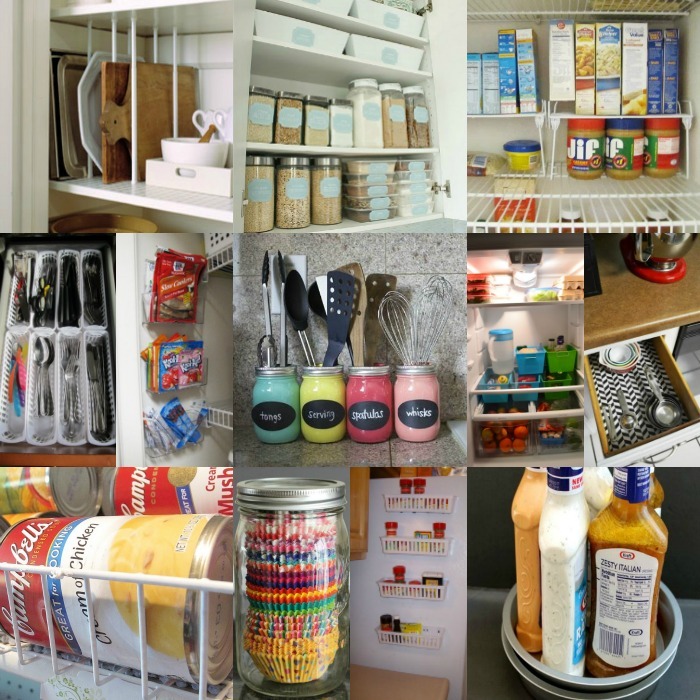 No need to look for kitchen organization ideas pinterest when you have so many great ideas here! These ideas will have your kitchen in order in no time at all and on a budget. Now that you know all about these Dollar Store Kitchen Organization Ideas, you will save so much money! I love to bake so it’s easy to get carried away with fun cupcake liners! No more sorting and hunting because I just stacked them all in mason jars! I also grabbed some of the clear shower caps to use for bowls. 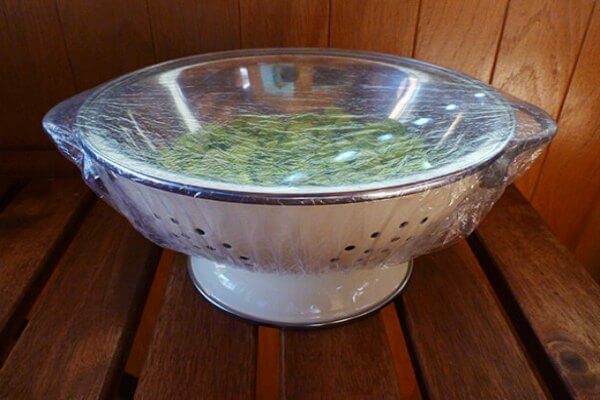 This is perfect for bowls that do not have lids or even for cookouts! Let us know what kitchen organization products you plan to use! I’m so excited to finally have my kitchen in order and for such little money! 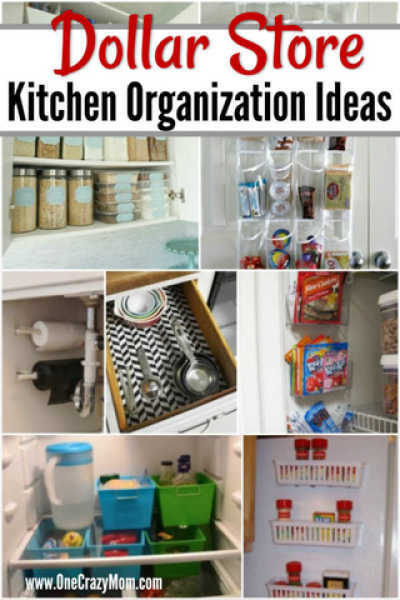 From kitchen drawer organization tips and kitchen cabinet organization ideas to kitchen counter organization ideas, there are ideas for everyone! 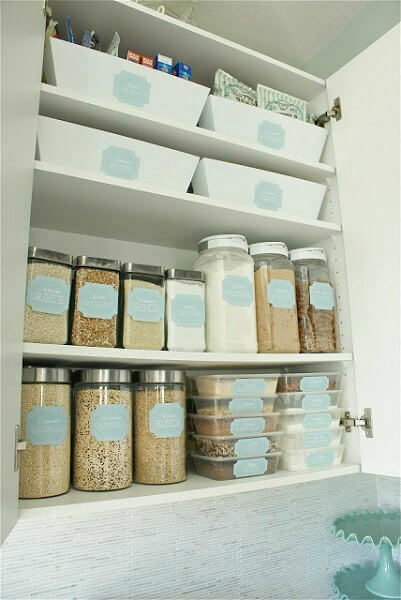 Get started with kitchen cabinet organization and more organization ideas! You will love having your kitchen organized. With no more clutter, your will have lots of counter space and even more storage space. Storing cooking supplies will be easy and every space will be utilized. From the cabinet door to open shelving, everything will have a place. 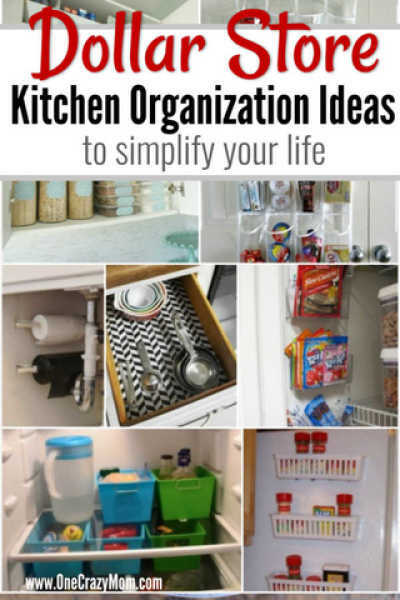 Make a kitchen organization chart and get started today! Awe some ideas!!! I love this store!! !